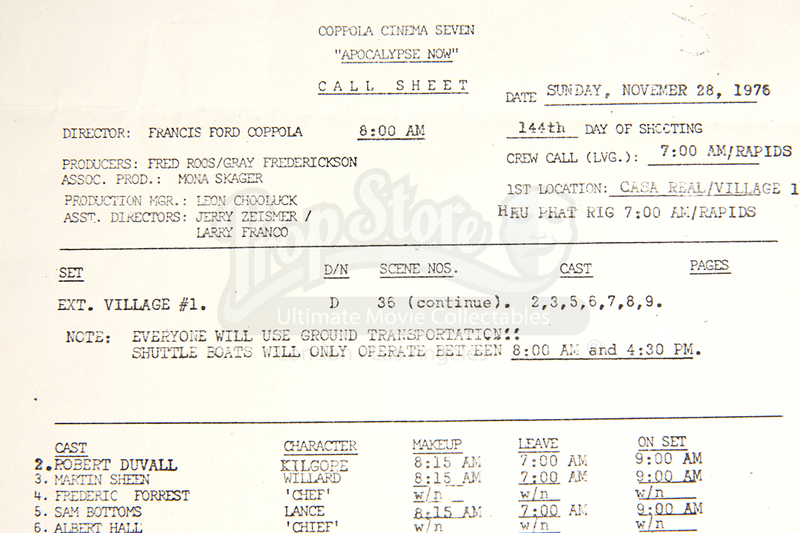 A printed call sheet from Francis Ford Coppola's war drama, Apocalypse Now. Based on a book, this movie takes place during the Vietnam War, and Captain Willard (Martin Sheen) is sent on a dangerous mission into Cambodia to assassinate a renegade colonel (Marlon Brando) who has set himself up as a god among a local tribe. 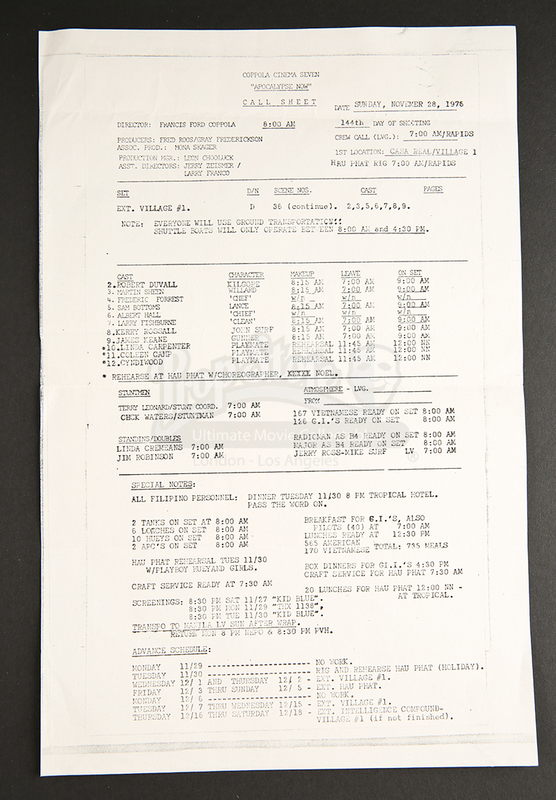 This call sheet is dated November 28, 1976. 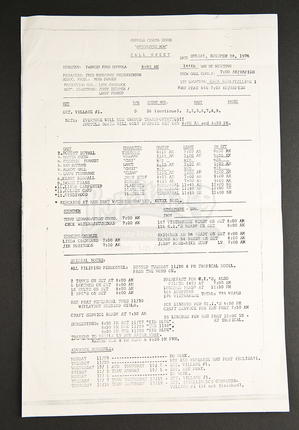 Listing as the 144th day of shooting, this sheet details the call times of the cast and crew, and other technical notes for the day. 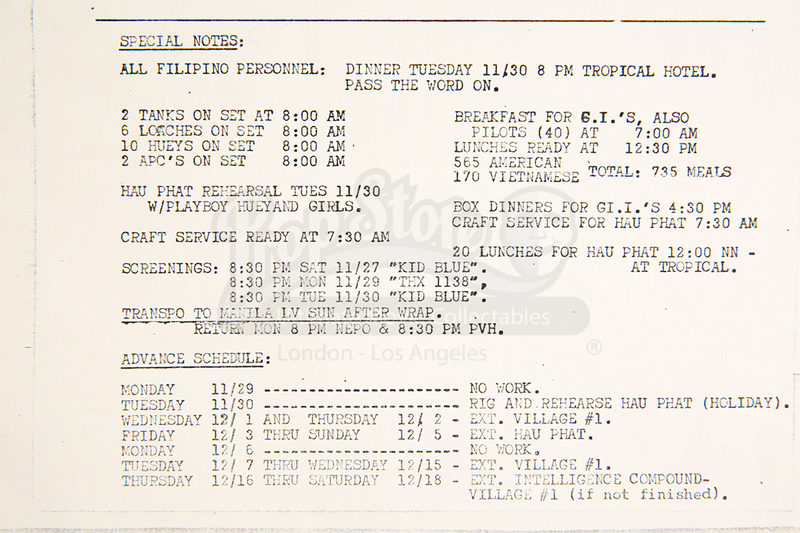 On this particular day, filming was taking place in Hau Phat, and required a barrage of various military equipment, including two tanks and ten Huey's. 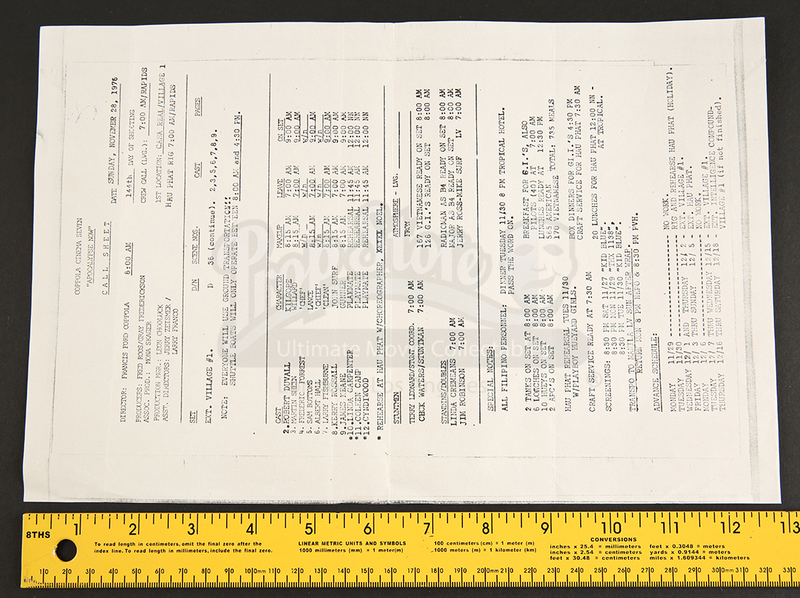 This item features some signs of wear from production use and age, including some minor folds in the page, but remains in overall excellent condition.